I love to tour historic homes. It’s my ‘thing’. Therefore it is also my children’s ‘thing’ whether they like it or not. They (mostly) like it. I tour all these wonderful old places with a group of young girls. And you know what? Almost every house we tour is the former home of some great man. 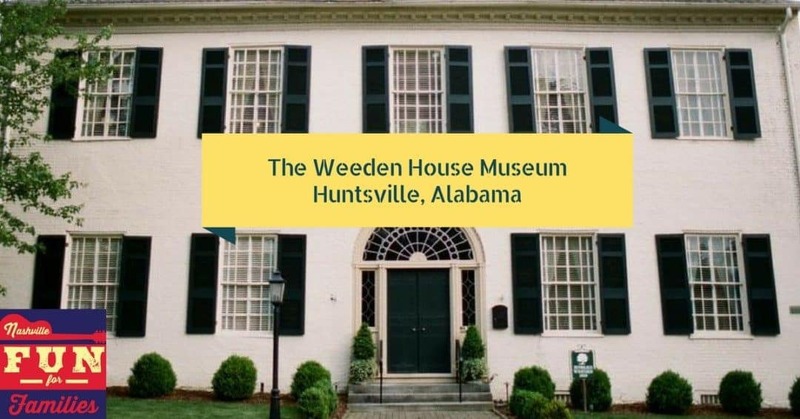 So when the Huntsville Convention and Visitor’s Bureau offered us a complimentary tour of the Weeden House Museum in Huntsville, AL I was happy to accept. And when I heard that the house was the former home of artist and author Howard Weeden? I just assumed we would be touring another home of a great man. And there’s absolutely nothing wrong with that of course. But imagine our surprise when we discovered that Howard Weeden was a great WOMAN! Being a veteran of these kind of tours, I can say one thing for certain. Historic homes are just brick and mortar. They may have interesting architecture. They may have been the setting for an important moment of history. But it’s the stories of the inhabitants of these homes that really make touring them worthwhile. And Howard Weeden? Well she has an awesome story. 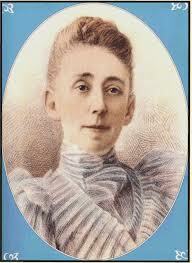 Maria Howard Weeden was born in 1846. She always went by the name Howard. Her father passed away 6 months before her birth and she lived with her mother and family in Huntsville Alabama. Howard showed an artistic talent early in her life and her mother arranged for her to have art lessons from William Frye, a well known portrait painter. In 1862, Union troops arrived in Huntsville and the Weeden family was forced to move out of their home. For four years the family lived with Howard’s aunt in Tuskegee. When the family returned to Huntsville in 1866, they were in fairly dire financial straits. Howard began earning money doing the only thing she was trained to do. She painted portraits, note cards, and just about anything people would pay her to paint. She also gave art classes as a way to earn money. Most of the works of Howard’s life were based upon portraits of freed slaves and their children. While visiting the Chicago Exposition in 1893 Howard was exposed to lots of art that depicted African Americans as cartoonish. Howard lived her life surrounded by slaves and, after the war, free people who worked in and around her home. She wanted to paint these people in a realistic way. So with a 3 horsehair brush and watercolors, she did just that. As she painted these portraits, Howard would chat with her subjects and often, after the painting was done, she would write poetry to go with the picture. Howard Weeden was a great woman. On your next trip to Huntsville, visit her home. See her work on the walls. Hear her words spoken and I bet you will agree with me. We were given tickets to visit the Weeden House by the Huntsville CVB. We appreciate their support of Nashville Fun For Families that allows us to spread the word of fun things to do in Nashville and beyond.